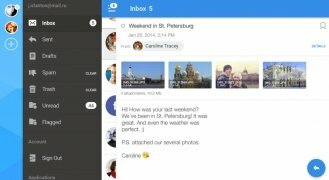 Mail.Ru Group is one of the most important Internet companies in Russia as it manages to bring together millions of unique users every day by means of its main services. 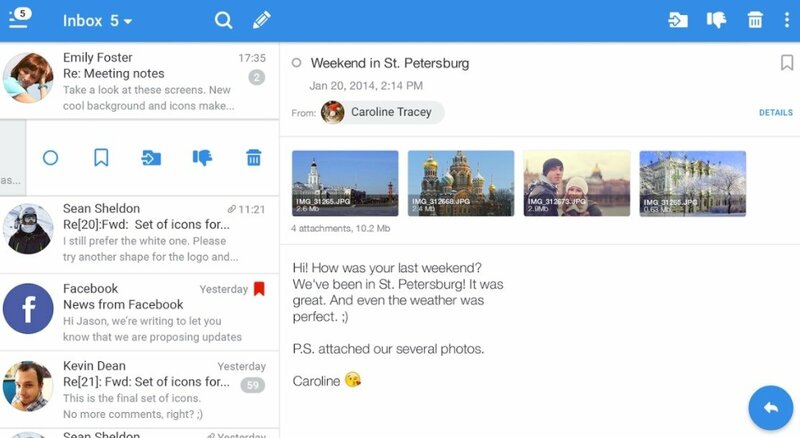 One of this is its email platform born in 1998 and that's known as Mail.Ru. Well, whether you use this service or not, you can download and use its app for Android since its compatible with other providers. 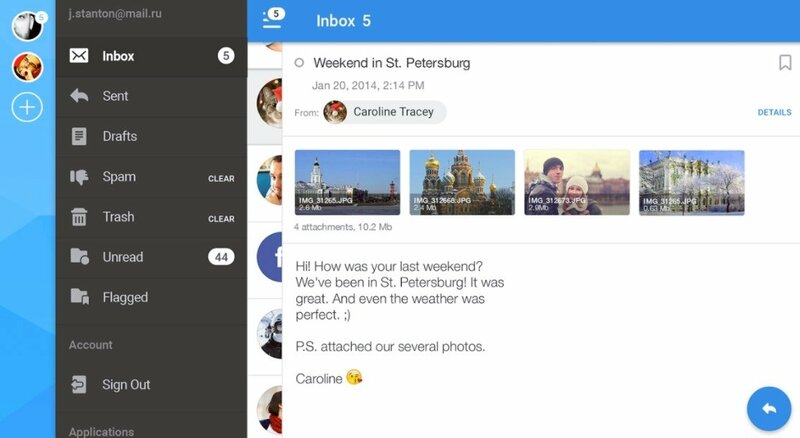 We're talking about Mail.Ru - Email App. All your inboxes available in the same application. You can turn this app into the access point from where you can manage all your email accounts at once. Furthermore, it comes along with a fine-tuned interaction system that allows you to carry out quick actions by simply swiping your screen. Multi-account support that allows us to use the same folders for different emails. Built-in search tool to find any text amongst all our emails. Push notifications for new emails. Stores emails in our cache memory so we can read them offline. Create avatars for your contacts to identify them easier when you send them an email. Emails shown as chain messages just like on the web version. Send stickers and emojis with your emails. 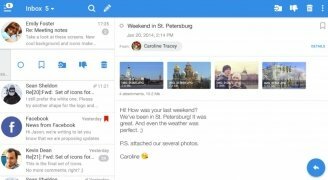 So, now that you know what Mail.Ru is all about, download its APK and start managing all your email accounts from the same place. The opinions of its users are a guarantee.